Home Economics has an important contribution to make to the whole school curriculum and at Key Stage 3 it contributes to Learning for Life and Work. The GCSE Food and Nutrition specification encourages students to adopt a critical and analytical approach to decision making and problem solving in relation to the areas of diet and health and consumer awareness. 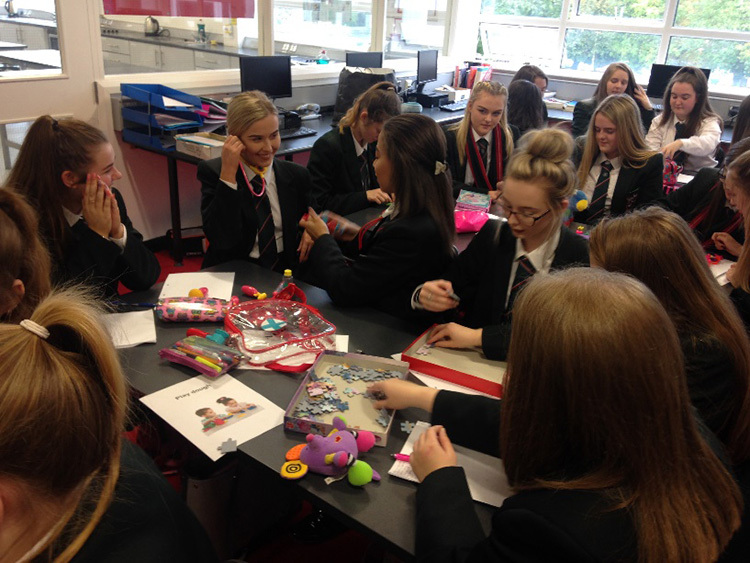 The specification for GCSE Child Development is divided into three units which are: parenthood, pregnancy and the new born baby, the development of the child and an investigation task. The opportunity to study AS and A Level Nutrition and Food Science and/or Health and Social Care allows a platform for further study in Higher Education. It also provides a basis for those seeking employment in a wide range of careers such as industry, commerce, education, childcare and the health and social services. All pupils in years 8, 9 and 10 study Home Economics as a compulsory subject. Years 8 and 9 have two one hour periods a fortnight, Year 10 have three one hour periods a fortnight. GCSE pupils have six one hour periods a fortnight and A Level pupils have ten one hour periods a fortnight. 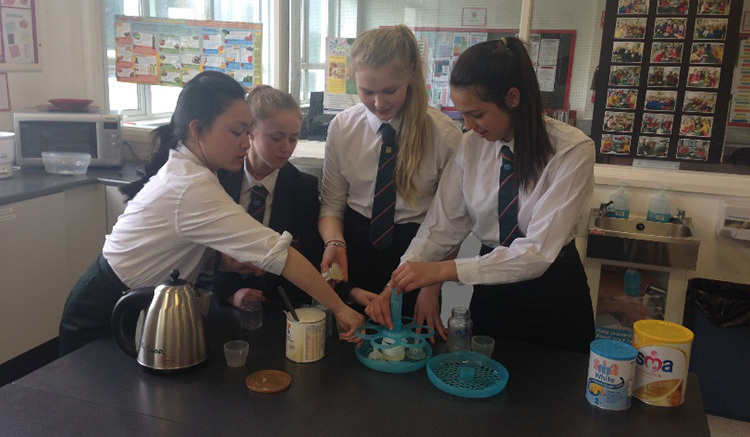 We offer both GCSE Food and Nutrition and GCSE Child Development as optional subjects in Year 11 and 12. CCEA GCSE specifications are followed for both Food and Nutrition and Child Development. At A Level, we offer both GCE AS and A Level Nutrition and Food Science and Health and Social Care. CCEA GCE specifications are in operation for both subjects. 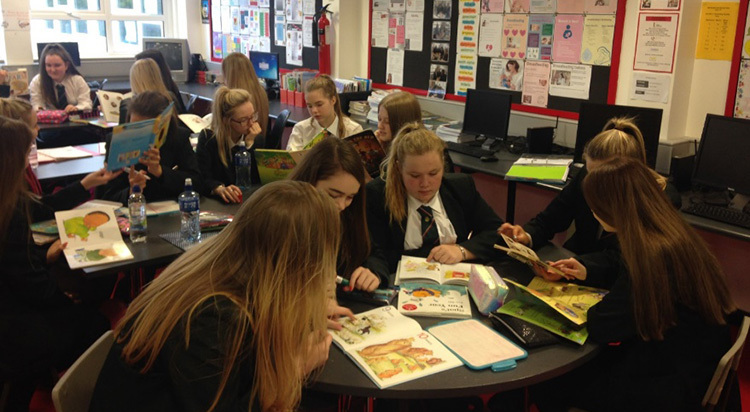 Teaching within the department is organised to incorporate ‘active learning’ wherever feasible, with the aim of pupils gaining personal satisfaction and enjoyment. 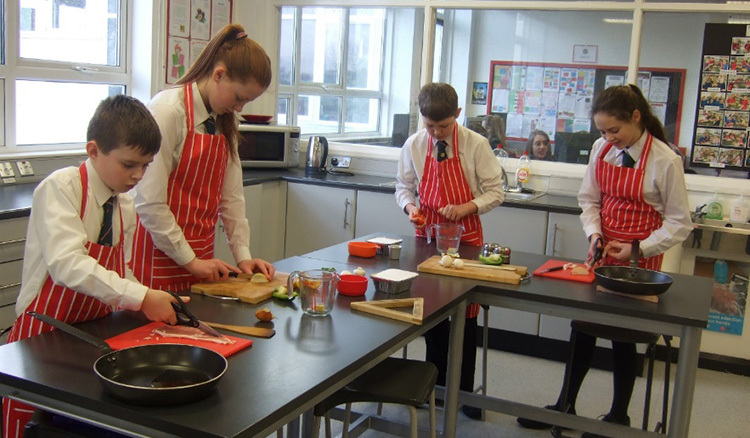 Home Economics, Child Development and Health and Social Care all encourage the development of a range of skills which have a practical application in the future lives of pupils. 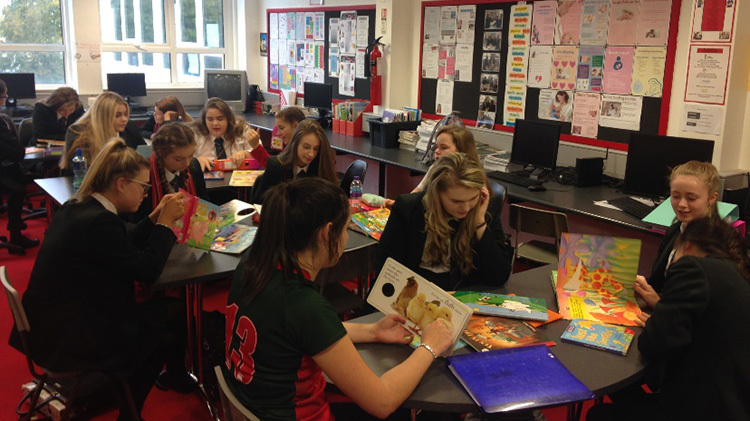 Year 11 pupils attend the annual ‘Feed Your Mind’ event at Loughry College, Cookstown. This provides students with an interesting and informative look at the use of science and technology in the food industry. You will carry out research based on a given title. You will plan and carry out activities to produce an outcome. 40% Controlled assessment. 100 marks. Set by CCEA and marked by your teacher. 3000 words. Students answer all short questions in Section A and three extended writing questions from a choice of 4 in Section B. Option A: Food security, food poverty, food sustainability, food waste, changing consumer behaviour. 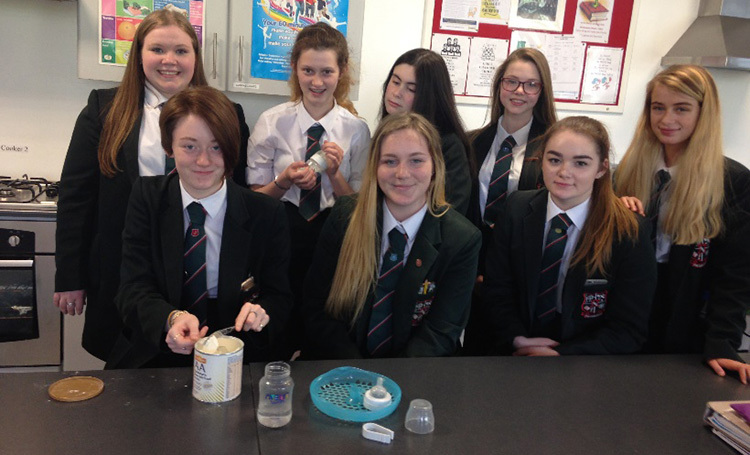 Year 14 pupils attend the annual ‘Nutrition Awareness Training’ at Loughry College, Cookstown where they complete an examination validated by the Royal Society for Public Health. 10% of A level Promoting Quality Care This unit gives students the opportunity to examine how care workers apply values of care, how legislation impacts on the rights and responsibilities of service users and care workers. Written report. 20%of A level Health and Well-Being This unit gives students the opportunity to learn about health and well-being and the factors which affect it. 2 Hour external examination. You will be required to complete a work placement of your choice in a health, social care, or early years setting. AS Unit 1 and 2 coursework will be based on this placement. Quality assurance 2 Hour external examination. Evaluating the activity Written report. The facilities and resources within the department are excellent. We have two main practical classrooms and two computer resource rooms. Every year, a range of educational trips/events are arranged. Examples include visits to Loughry College, Little Rays Day Nursery and McKee’s (Maghera). Visiting speakers from Environmental Health, Health and Social Services, First Trust Bank, Livestock and Meat Commission and the farming industry enhance teaching and learning in the classroom and promote career opportunities.